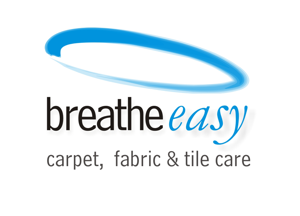 Breathe-Easy Carpet and Fabric care has been involved in the Leather Cleaning Industry in Perth for over 18 years. During this time, the popularity of leather furniture for the home and car has increased, increasing the demand for leather cleaning services in Perth. Breathe Easy is committed to providing the very best in leather cleaning and over the past 18 years we have tried almost every leather cleaning product available on the market, with some good results. Recently Breathe Easy completed the First Aid Furniture training course and discovered some truly amazing leather-cleaning products and techniques, delivering exceptional leather cleaning results. Using the proven techniques developed by First Aid Furniture we bring to you a quality, guaranteed restoration service for all your leather, vinyl and vehicle interiors These products, along with the specific techniques, have been developed with years of knowledge and experience in the leather industry. Leather is a product that can get better with age, as it stretches and gives with time, making it more comfortable, but to get to this point it must be properly maintained with regular cleaning and protecting. Day to day living can take its toll on your beautiful leather furniture. Body fats and oils on the skin contact points can lead to the leather drying out causing cracking, dramatically reducing the life of your home and office furniture or vehicle upholstery. Other factors such as UV rays, biro ink and dye transfers from clothing may cause damage, with spills and stains difficult to remove. This is where Breathe Easy’s advanced leather cleaning techniques’ can help. Before applying Leather Ultra Clean we start with a thorough vacuum of the furniture then, using an exfoliating action, the highly effective Cyclo machine removes all of the soiling. For those more stubborn stains, if required, we can apply a more specialised range of stain removers including colour correction balms to repair those small scratches and discolourations. Lastly, we apply a leather protection cream with an added barrier protection technology to condition, feed and nourish the leather. This in a important part of the leather restoration process as it brings your leather furniture back to life and reinstates that wonderful, luxurious leather aroma.